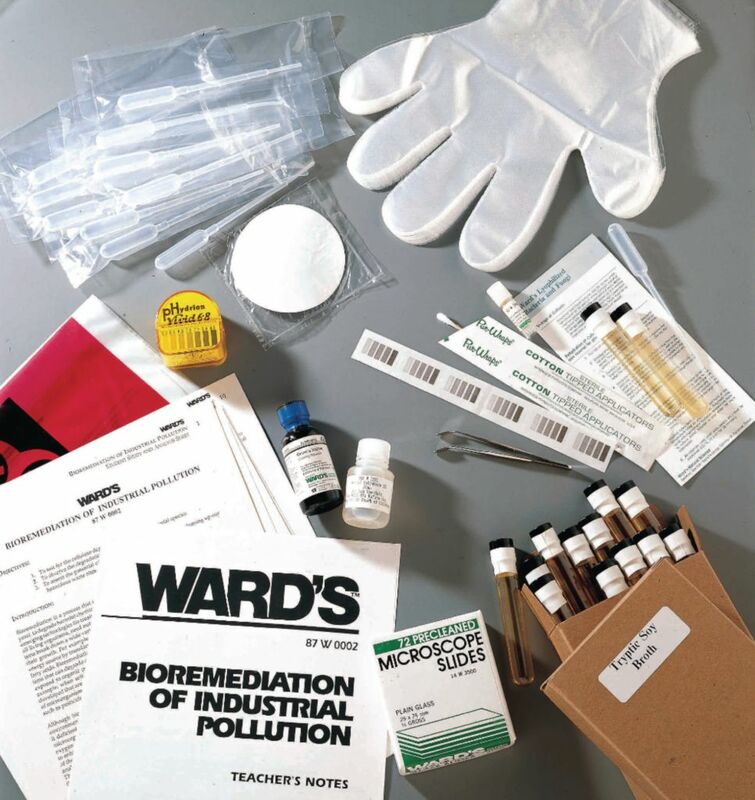 Students will be able to study bioremediation, a process that uses naturally occurring organisms to degrade hazardous waste into nontoxic materials, and assess its potential as a viable method of cleaning waste sites with our unique lab activity. In an investigation that spans one 45-minute lab session and three brief, 15-minute follow-up sessions, students grow a naturally occurring bacterial strain and observe its degrading properties on completely safe, simulated “chemical waste”. Ordering information: Includes enough materials for six setups, a teacher’s guide, and student copymaster. An incubator, required, is available separately. Coupon included for perishable materials. Redeem by phone or e-mail.